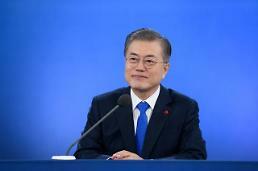 SEOUL -- In a risky operation that followed an inter-Korean summit in September, North Korea has removed thousands of landmines to clear the roads for a joint project to excavate war remains buried in a 1953 battlefield in the demilitarized zone (DMZ), the South's defense chief said. In the same area in the northern border town of Cheorwon, South Korea has removed 20 mines and 300 unspecified explosives, Jeong said. The area has been considered a key invasion route and blocked by giant concrete walls set up along the southern perimeter of the DMZ. The joint excavation of war remains will be staged in Hill 281 (Arrowhead), a site of intense battles in 1953 for dominant and strategic hilltop positions. 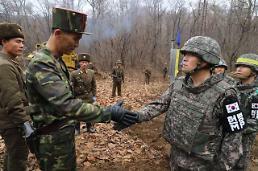 The defense ministry said hundreds of soldiers from South Korea, the U.S. and France were buried in the hill. Chinese soldiers fought for North Korea. The operation to remove mines began on October 1 in two border areas -- one in Cheorwon and the other in the truce village of Panmunjom. 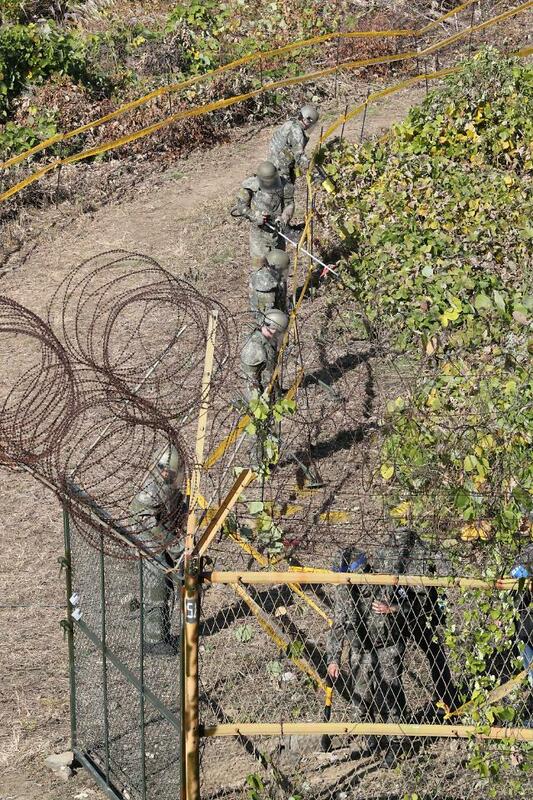 The DMZ has been heavily fortified with minefields, guard posts, concrete walls and electric fences. At a summit in Pyongyang in September, the two Korean agreed to disarm the Joint Security Area (JSA) in Panmunjom, disarm 11 DMZ guard posts on a trial basis and conduct a joint excavation of soldiers killed during the war. On Monday, military engineers using construction equipment started tearing down 20 entrenched DMZ guard posts in a pilot project. For historical preservation, two posts of symbolic or political significance were kept intact.